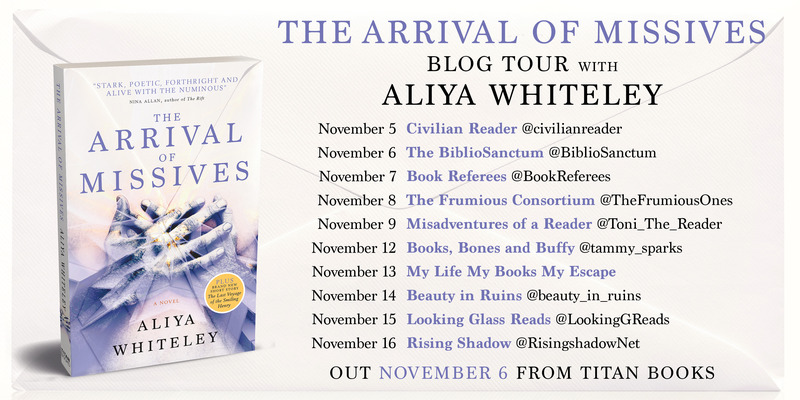 The BiblioSanctum is pleased to be a stop on the blog tour for The Arrival of Missives by Aliya Whiteley, described as a genre-defying tale of fate and free will, and how the choices we make in our lives affect us. The book has been widely praised in the UK where it was first published, and this fall Titan Books is pleased to be bringing it to US readers for the first time. It is being released today, available wherever books are sold. We hope you’ll enjoy this guest post by the author! Be sure to check out her book and also stop by the other blogs on the tour! An inn stands on Bodmin Moor, miles from anywhere. The owner of that inn is a man without morals, who commits terrible acts. He’s also the uncle of Mary Yellan, a young woman who has come to live at the inn without realising what she’s getting into. The wildness of the weather and the cliffs of the Cornish coastline dominate Jamaica Inn. Du Maurier creates a hugely charismatic villain who uses those elements to his own advantage, preying on the unsuspecting. We fear for Mary, and admire her courage in an inhospitable place that offers her no easy escape. There’s really no way to place A Maggot in a particular genre. There are elements of crime, literary fiction, science fiction and even horror. But it is deliberately disquieting because it does not want you to categorise it; this is a reading experience that you have to accept on its own terms. A band of travellers make their way across Exmoor, Devon. An event takes place. The nature of that event will form the backdrop of an investigation that includes interviews and newspaper articles, attempting to find truth. To say any more is impossible. Imagine moving from your flat in the city to a fixer-upper in the heart of the countryside, thinking you’re going to live a quieter life in the clean air, only to discover your only neighbour is a very jealous witch. Mabs, the witch in question, resents the fertility of the young woman who has dared to move into her territory. So she rolls up her sleeves and sets out to ruin lives. Puffball is very dark and very funny, and Fay Weldon’s characters are always so recognisable to me in their wants and fears. We associate Sherlock Holmes with Baker Street, London, but most of the action in this story takes place on Dartmoor, Devon, described brilliantly by Doctor Watson as he is driven to Baskerville Hall to investigate strange goings-on and a family curse. He writes that, “a tinge of melancholy lay upon the countryside… as we drove through drifts of rotting vegetation.” Whenever I visit Dartmoor I think of that tinge of melancholy. Kim Newman understands that many people’s dream house, deep in the countryside with nobody nearby for miles around, can easily become the perfect location for a nightmare. The Naremore family find a beautiful house in rural Somerset; it will come as no surprise from the title to find out that the house is haunted. But how this affects a family that have their own problems to begin with shows that our personalities can be influenced by our surroundings in strange ways. These stories of ghosts and witches, supernatural animals and weird happenings, only add to the charm of the West Country, I think. I feel like I belong there, considering I’ve always loved a strange story too. I hope it inspires many more tales that make people want to visit it – not only for the green fields and blue sea, but also for the moors and mists, and the houses and inns that still hold their own secrets through the years. Aliya Whiteley was born in Devon, UK, in 1974. 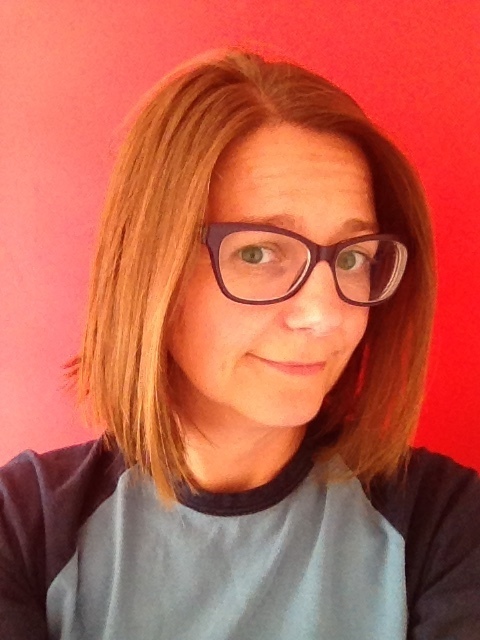 She writes novels, short stories and non-fiction and has been published in places such as The Guardian, Interzone, McSweeney’s Internet Tendency, Black Static, Strange Horizons, and anthologies such as Fox Spirit’s European Monsters and Lonely Planet’s Better than Fiction I and II. She has been nominated for the Pushcart Prize twice, and won the Drabblecast People’s Choice Award in 2007. This was a great guest post, and I’m especially curious about the Fay Weldon story, that doesn’t sound typical of her at all! Yeah, that one caught my attention too! Yes, thanks to the author for dropping by! Intriguing indeed! The cover for this one is really interesting! It’s the Titan US edition, I believe. I like it MUCH more than the UK version! Ooh, this is intriguing. I will have to check this book out – and I’ve read two off this list – Jamaica Inn and the Hound and loved both – the moors are such a wonderful setting for any story but they really do lend themselves to anything wanting to be remotely creepy.